So Google is at it again. The Penguin 3.0 algorithm has been released and isn’t even a refresh it’s an entirely re-run algorithm that has taken over 10 months to perfect. 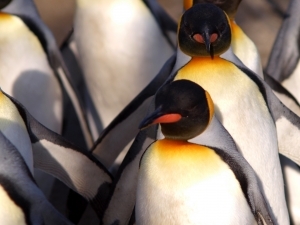 Google has once again left many webmasters quaking in their boots and the new Penguin 3.0 is set to affect the SERPs of hundreds, if not thousands, of websites that have incoming links that could be deemed as being too ‘spammy’. Matt Cutts did offer us all an early warning in 2012 by saying that “you don’t want the next Penguin update, the engineers have been working hard”, and he was true to his word; the engineers have definitely outdone themselves on this one. There is some positive news for those sites that were affected by the last Penguin update. Due to the fact that there has been no Penguin update in the last 10 months, it would be fair to assume that the web based companies that were affected the last time round have not seen a significant change in their SERPs to date, despite cleaning up their link profile. However, for those among you that had your website penalised last time the Penguin algorithm was released, if you have since been cleaning up your link profile by cancelling and disavowing any ‘spammy’ links, then the almighty Google Penguin will take kindly to you this time. This means that you will potentially see an improvement in positions. Related: How To Get £10,000 To Spend On AdWords For Free! If you are not sure as to whether your website has been affected then there is a short and simple way of checking with the Penguin Penalty Analysis Tool. The tool will compare your web traffic to the rollout date of the Penguin 3.0, allowing you to see whether there has been a traffic drop that corresponds with the rollout. If there has been a drop, then there may be a chance that you have been affected by the algorithm. If you are still unsure, then it might be a good idea to carry out a website audit. First things first, get a wiggle on and perform a link audit as soon as possible. A link audit is something that shouldn’t really be carried out when you are hit by a Penguin update, but something that is carried out before such ‘hits’ happen. Nonetheless, if you have been ‘hit’ then here is what you need to do. If you haven’t already done so, create a Google Webmasters Tools account and link your website to the tool by adding the code. You will then be able to select your website and navigate to the ‘links to your site’ section. From here you will be able to download your most recent links. You will need to look through your links and find the ‘spammy’ links that the Penguin hate so much. You will need to try your best to contact the webmaster of that link and ask them to delete the link. If this is something that is not possible, then Google allows you to disavow the link. Disavowing a link is essentially saying to Google “I know this link is rubbish, and I don’t want you to count it”, but this should be done as a last resort. Finding and deleting that bad links yourself is a method that’s far more favoured by Google. Well, the moral is definitely that we should be checking out link profiles more often and conducting a bit of link housekeeping every once in a while. This will leave you worry-free when the next Penguin update does the rounds again.